The New Year is almost here, and I know sometimes everyone gets stuck in a rut, and believes that they truly haven't accomplished much during the year. As a red deer newborn photographer, I can get that way as well. Anyone who has worked with me, knows that I am someone who aims for only perfection. Many times in 2017, I found myself wondering if I truly am achieving all the goals I had set for myself, and I struggled to see progression and improvement. However, never did one of my clients ever have a problem seeing my potential, my growth and my worth - so I knew that all this hard work, all these extra hours and all the late nights editing and practicing was truly worth it. I want to share with you a little bit of me. My growth. During this last year, I have done countless workshops (still have 3 more on docket), purchased more props than anyone should be allowed to have, upgraded my lighting, my camera, my lens and my education including courses on newborn safety. I've invested almost every dollar I made to ensure that next year, I would be able to be stronger, and more knowledgable then I ever imagined I could be. 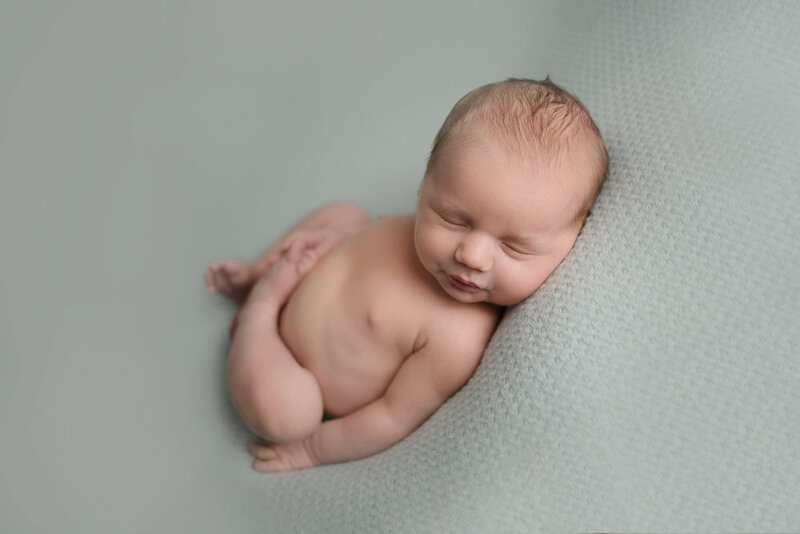 All of this, was not possible without each and every one of you who put your trust in me to photograph your newborn, whether it was just when I was starting in my living room, or last week in my home studio. The first four images from the beginning of 2017 (first 3 months), and the last 4 within the last few months. 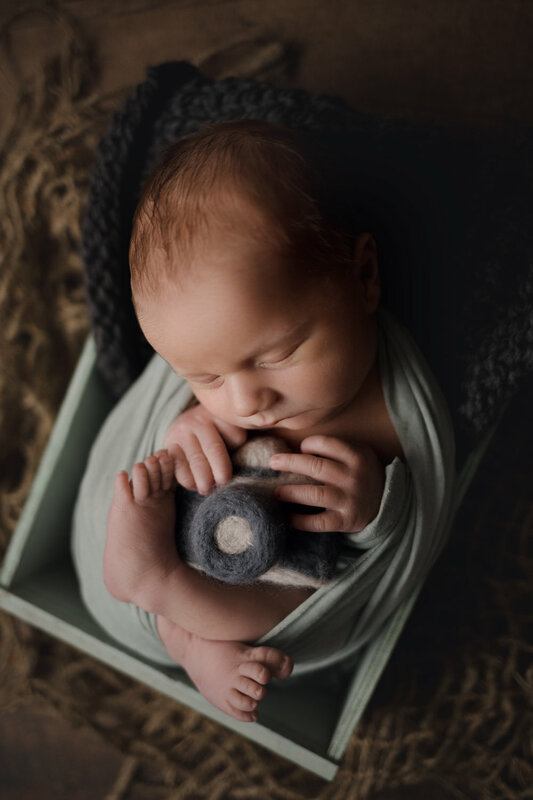 An addition to the family can be at times a bit stressful, so here at Paige Koster Photography, we want to make that transition easy for you as your Red Deer Newborn Photographer. When you come to visit us in the studio, I want you guys to feel relaxed knowing I've got it from there and your baby is in safe hands with me. The best time to book your session is as soon as you are ready to! 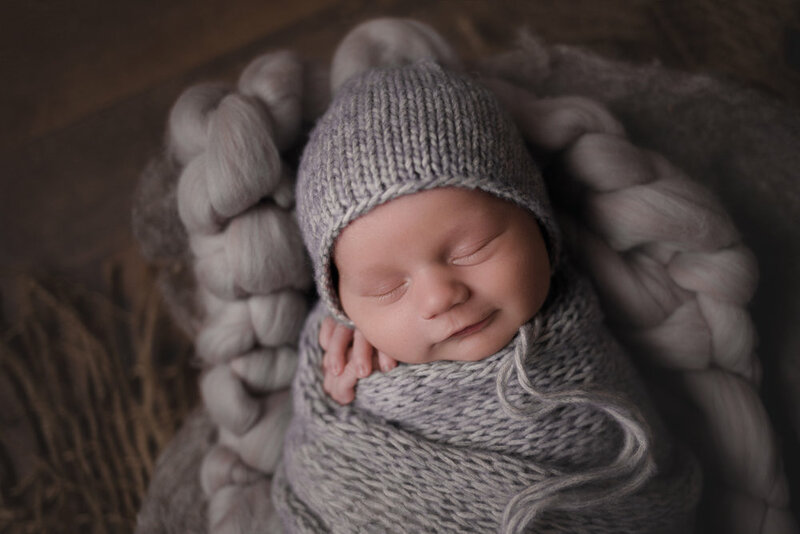 Paige Koster Photography only takes on 4-6 newborns a month to ensure that I can schedule each little one within the 6-10 days. Occasionally I do photograph younger and older newborns. Once your little one has arrived, we then schedule a set date that works for you and your family. Tip 1: Try and keep your newborn awake before your session. 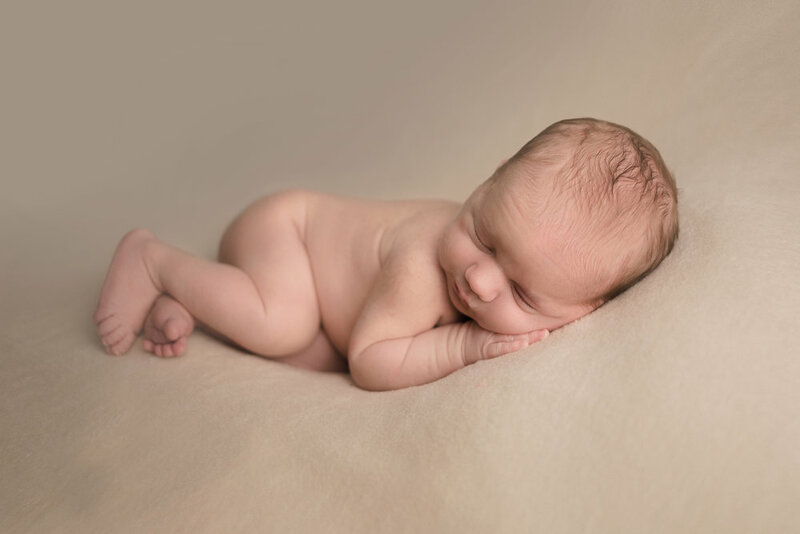 A sleepy newborn is a much easier newborn to pose, which means a faster session for Mom & Dad. There is always one little guy or gal who will surprise us all and stay up for a whole session - and that's okay too! Show us those big blue eyes little one! Tip 3: It gets a little warm in the studio, so its best to properly dress for this. 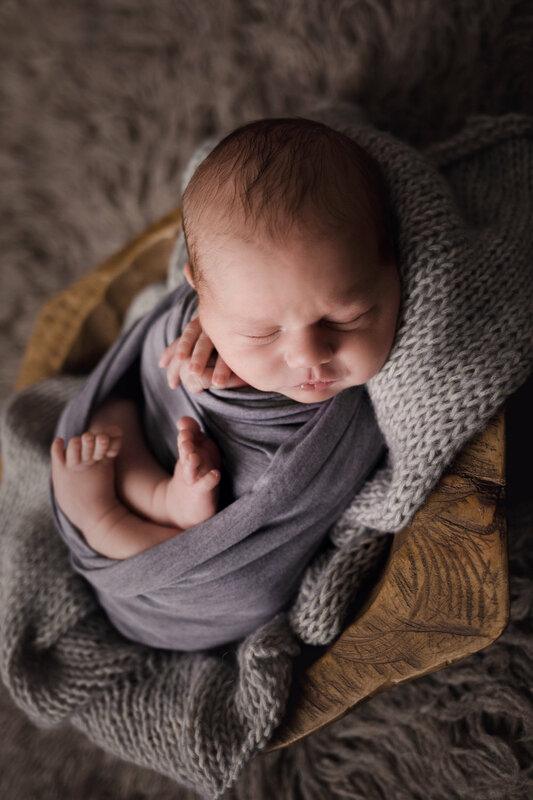 Your newborn may be naked or have a thin layer of clothing, this helps keep him or her warm and comfortable during their session. Tip 4: Sit back, and relax. I know, it is crazy...how does a new mom relax? Typically I will do the family portion of your session first, and then from there I will do the newborn portraits. There may be a few poses where I ask that Mom or Dad is available to me to help spot as a safety precaution, but otherwise, I ask that you sit down, relax and enjoy some quiet time. You can be ensured that Paige is certified in newborn safety and they are in great hands! We can't wait to snuggle your new little bundle of joy! A few months ago I spoke to Karina in regards to booking both a Maternity and Newborn session. We met at a local shop, and I could tell instantly that she was someone with a beautiful soul. We scheduled her Maternity portraits at the beautiful Canyon Ski Resort in Red Deer and we made her amazing vision come to life. From Canyon we headed to a little bridge in a near by park for another scene for her portraits. Little did we know that they little one was going to arrive a lot sooner than we both thought! Her darling second addition to the family surprised everyone when she came a few weeks earlier then planned. Let me tell you, she is beautiful - just like her Momma & Sister. And best of all, you can see just how much this family already loves her! Here's a few portraits from our session.